David R. Daleiden said he misrepresented himself and falsified his identification while investigating Planned Parenthood because that’s what journalists do. What an insult to journalists! Ethical journalists know that telling lies and deception while covering the news destroys their credibility. Who would believe a journalist who lies, cheats or steals? True, there’s a qualification. And journalism lore is rife with tales of Hollywood-style derring-do, with reporters pulling off grand deceptions. The Mirage tavern, a study in journalism deception. In 1977, the Chicago Sun-Times bought a tavern and staffed it with reporters and photographers to show the extent of corruption and shakedowns by Chicago city inspectors and others who took $10 or $20 payoffs to ignore safety or health hazards. 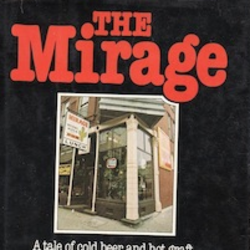 Then the Sun-Times published a 25-part series that documented the abuses and crimes in the Mirage tavern. You’ll still get an argument from some journalists who say it was a terrific story and resulted in major city, state and federal reforms. The talk at the time, though, was that the series failed to win a Pulitzer Prize because the investigation was based on deception, and that was wrong. That brings us back to Daleiden, founder of the Center for Medical Progress, a pro-life organization. Over lunch in Los Angeles, Daleiden and a female employee met with Planned Parenthood’s senior director of medical services while posing as potential buyers of aborted fetal tissue and organs for medical research. The meeting was secretly videotaped in an attempt to show Planned Parenthood was illegally profiting from selling fetal tissue. The candid discussion of how fetal tissue and organs are harvested caused a national stir and controversy over abortion. But it backfired. Daleiden and his colleague were charged with tampering with a government record for using fake California driver’s licenses to establish their undercover identities. No charges were filed against Planned Parenthood. Now it was journalists’ turn to be upset. Terhaar quotes Mark Horvit, executive director of Investigative Reporters and Editors, who said undercover reporting is “stunt reporting,” a shortcut to the difficult reporting that normally goes into an investigation. Real reporting, observed Terhaar, involves the hard work of conducting interviews, finding information, knocking on doors, fighting for public documents and analyzing data. “But the end result is honest and true, and won’t ignite a national argument about its merits,” she wrote. Still you can get an argument. The New York Times employee handbook discourages undercover reporting, but James Risen laments it as a lost art. Journalists typically seek the truth. Daleiden was attempting to justify a personal viewpoint. “Daleiden may be stretching the very definition of journalism beyond the bounds that the rest of us can accept,” the Lithwick article said. Comment below: Is undercover reporting tolerated where you work? If so, are there ground rules?